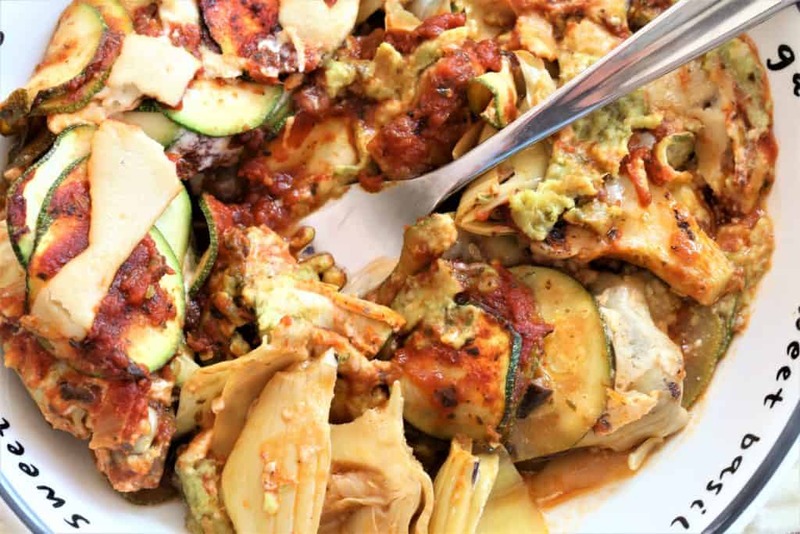 Zucchini Artichoke Mushroom Lasagna w/ avocado pesto, cashew cheese. I have to admit, this was the first time that I actually combined all of these specific ingredients to make a vegan lasagna dish, and without exaggerating, this Zucchini Artichoke Mushroom Lasagna is incredible. 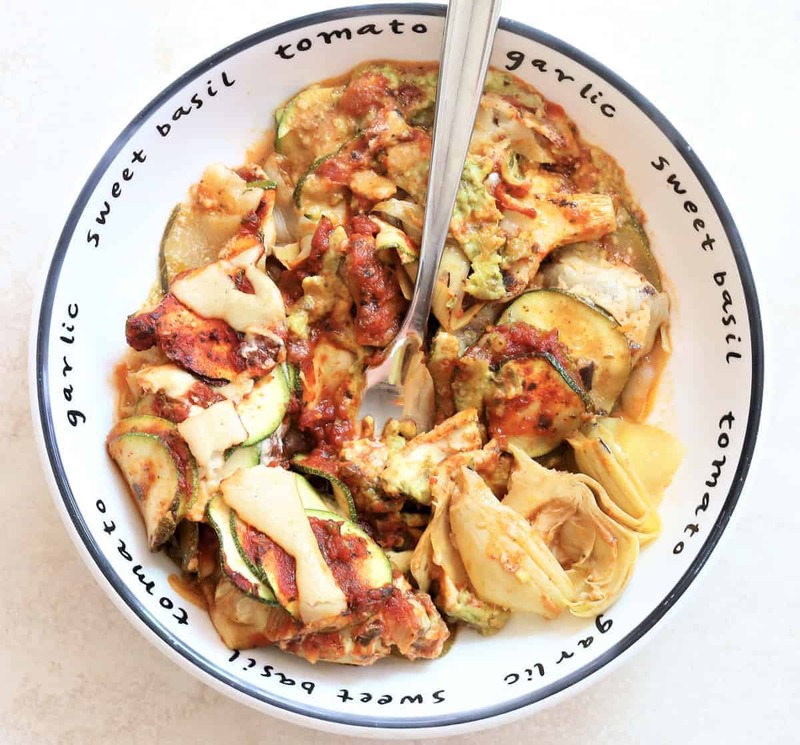 Using fresh zucchini, mushrooms, green onions and basil from the garden, I layered the vegetables and topped each layer with marinara sauce, avocado basil pesto, and garlic cashew cheese for a yum flavor experience. This dish is also vegan, gluten free and dairy free. 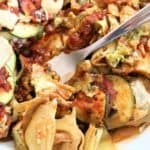 Zucchini Artichoke Mushroom Lasagna. Light, fresh, no pasta. Delicious! Vegan, gluten free, dairy free. 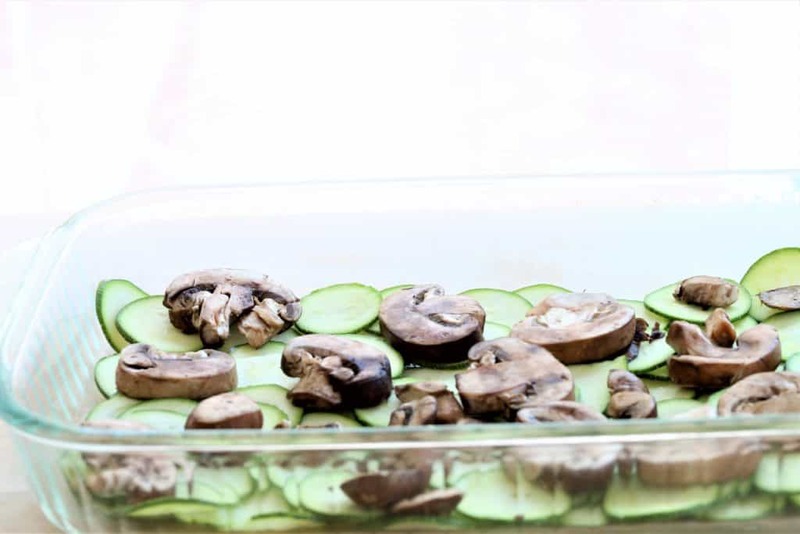 Heat zucchini and mushrooms in microwave for 2 minutes and then squeeze all water out. Oil glass 9x13 pan with olive oil. 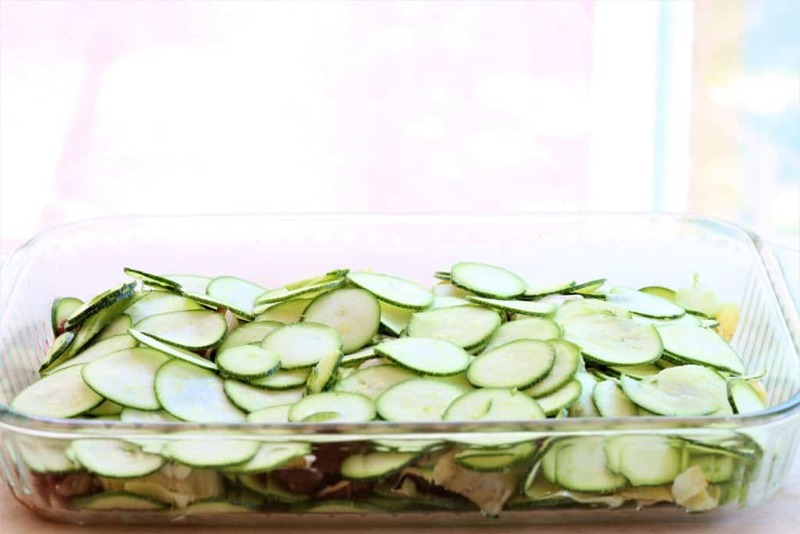 Divide zucchini into 3 equal portions. Divide mushrooms, artichokes and green onions into 2 equal portions. 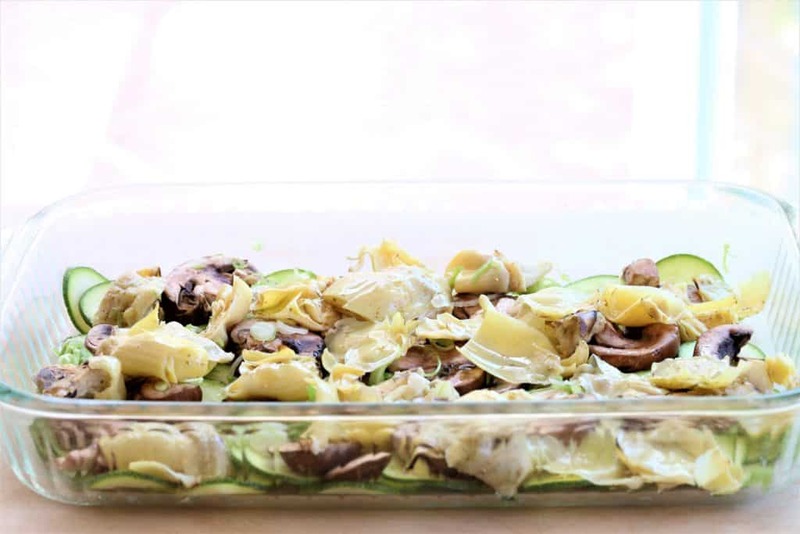 Layer: Bottom layer zucchini, mushrooms, artichokes, green onions. Drizzle marinara sauce, avocado pesto and garlic cashew cheese. 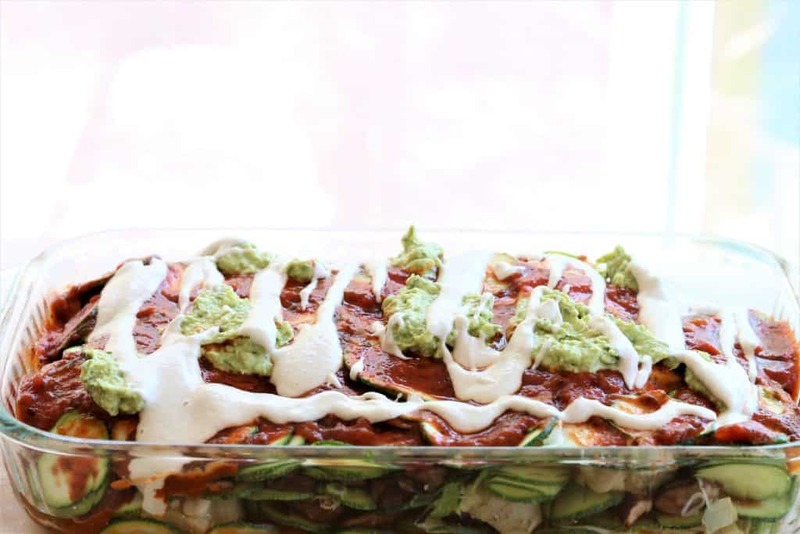 Repeat with second layer exactly the same as the first, and make a top layer with 3rd portion of zucchini, marinara sauce, avocado pesto and garlic cashew cheese. Bake in the oven uncovered at 375 degrees for 45 minutes. Let dish set for 10 minutes and drain water (from vegetables) that may have accumulated. You can also dab water with a paper towel or just just serve with slotted spatula. Add artichokes and green onions. Spread marinara sauce, avocado basil pesto and garlic cashew cheese. 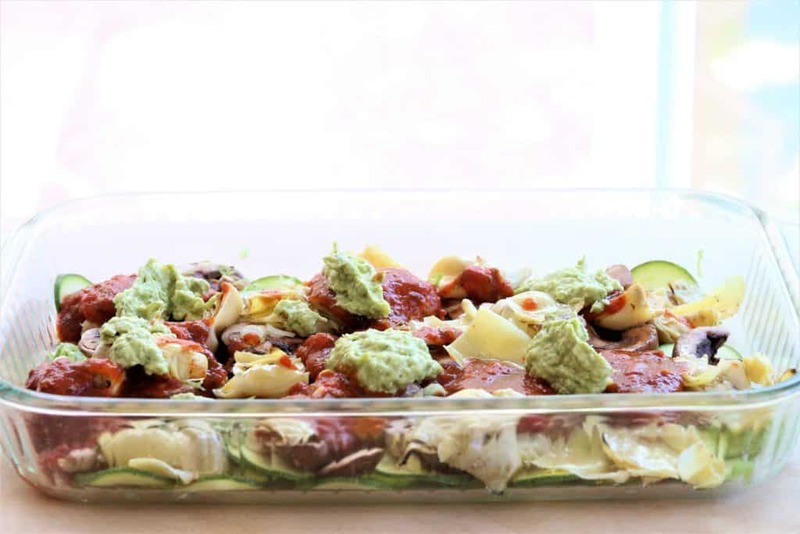 REPEAT exact same order for second layer-zucchini, mushrooms, artichokes, green onions, marinara sauce, avocado pesto, garlic cashew cheese. For third layer top with 3rd portion of zucchini only and add sauces. Drizzle marinara sauce, avocado pesto and garlic cashew cheese. It is ready for baking. Bake 375 degrees for 45 minutes. 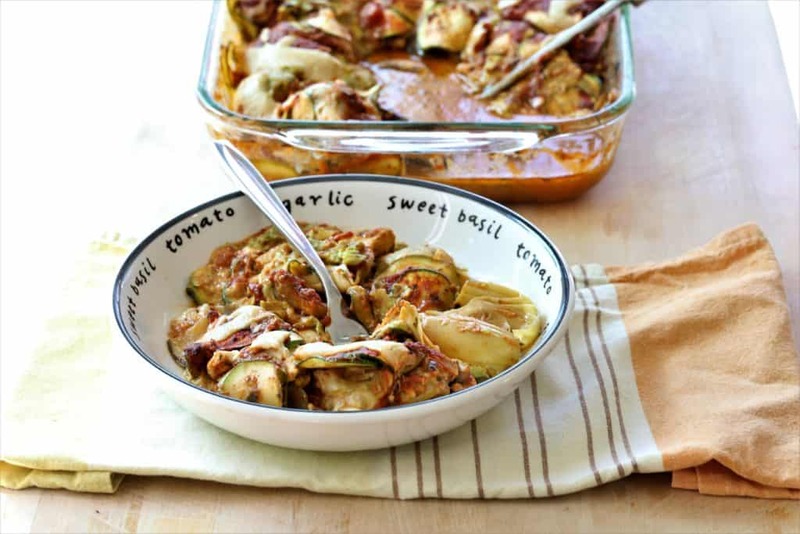 You can either drain water (from vegetables baking), or serve with slotted spatula.